Choose from 3 boats in Athens. Athens has played a bigger part in history than most other world capitals can say. The cultural and social life of the city is interwoven between landmarks that are centuries, and even millennia, old. One of the main reasons Athens began as such a powerful center of trade was its strategic position on the Aegean Sea. This also happens to be the reason Athens is the ideal destination to charter a yacht in Greece. 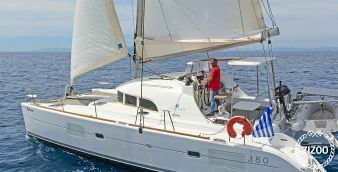 Rent a sailboat in Athens or hire a luxury yacht if you dream of an adventure among the countless islands in the Aegean Sea. If it is not already, sailing holidays in Greece should be on the top of your bucket list. Athens has many highlights and sights that are worth a visit and is truly one of the best starting points for a sailing trip. Plan a sailing route from Athens that allows you to see as many sites and bits of history as possible. You can also easily spend days exploring the different sites in Athens before setting sail. The nightlife in Athens is legendary. Whether you are looking for a luxurious night out or want to party with local Athenians, there is a scene for everyone. Exarchia hosts a young anarchist scene with an endless choice of bars. This hipster-dom is a vibrant place for a mix of art and urban reality. At Gazi, you’ll find your super clubs with the famed Rebetiko venues. You’ll also find Lohan, the club created by none other than Lindsay Lohan. For those who value heritage and quality, slide over to Patsion, home to one of the city’s oldest bars. Go to Au Revoir Bar to experience a little bit of the old Athens. Of course, nightlife in Athens does not have to happen so far inland. Another reason to rent a yacht in Athens, it because of how easy it is to get to the beaches. Anchor at Astir Vouliagmeni for the ultimate luxury beach experience. Edem is the closest beach to the city and not only gives you a long sandy beach but plenty of ways to enjoy your evening. You can also take advantage of the flexibility of a boating holiday, head off to a secluded bay, and have your own party right onboard. 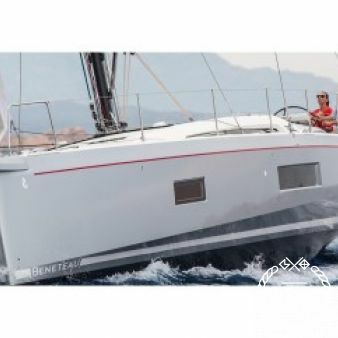 Zizoo has over 1,400 boats in Athens with brands such as Bavaria, Jeanneau, and Beneteau. 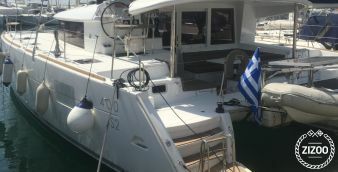 If you are looking for a bareboat charter from Athens, you need to be aware that at least 2 people onboard need to be in possession of a boating license. 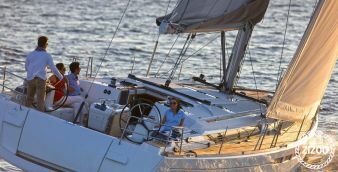 Once you have decided to take a yacht charter holiday, the next step is choosing one of the many sailing routes from Athens. Here is a sailing route to the Saronic Gulf from Athens where you can expect optimal sailing conditions. This area is especially popular because of the relatively short distances between the stages. Day 1 - Athens to Aegina: Discover the Temple of Aphaia surrounds by a pine forest. Day 2 - From Aegina to Poros: Visit this quaint island with a picturesque chapel. Day 3 - From Poros to Palaia Epidavros: Discover an impressive ancient amphitheater. Day 4 - From Epidavros to Korfos: A small place that is definitely worth a visit. Day 6 - From Korfos to Agistri: Relax on some of Greece’s most incredible beaches. Day 5 - From Agistri to Aegina or Perdika: Witness the authentic life of a fishing village. Day 7 - From Aegina to Athens: End the trip exploring the dynamic city of Athens. Take a look at the full itinerary for this 7-day cruise in the Saronic Gulf for even more details on each location. Other great destinations for a boating holiday from Athens in the Saronic Gulf are the island of Hydra and Spetses. The Cyclades are a group of Greek islands southeast of the mainland. Unlike the calm winds of the Saronic Gulf, around the Cyclades, sailors can enjoy the stronger winds and sporty sailing experience. For this reason, we recommend inexperienced boaters to charter a yacht with a skipper for this location. Starting from Athens, you can cruise down to the Cyclades to discover popular island towns like Mykonos, Santorini, Ios, Serifos or Paros. There are even many less known islands worth exploring off of these already popular sailing routes. For more information on sailing routes in Greece, see our guide to renting a yacht in Athens. The archipelago of the Sporades can be found north of the Cyclades. This is another fantastic area for sailing with beautiful Greek islands and coastal areas to explore like Kassandra, Sithonia, and Halkidiki. 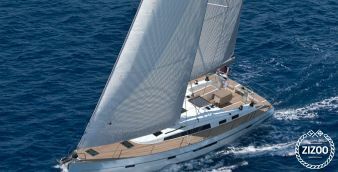 The Sporades has moderate wind conditions that create a very pleasant yacht charter in Greece. The marina Alimos Kalamaki is located in the district of Kalamaki / Alimos in Athens and is easily accessible. Rent a yacht in Alimos and plan a cruise in the Saronic or Argolic Gulf. With over 1,000 berths, the Marina Alimos Kalamaki is one of the largest marinas in Greece. This is an ideal place to rent a boat in Athens. From here, you can start your yacht charter in Greece and explore the endless beauty of the seafaring country. Piraeus is the most important seaport of Greece and is located about 10 km south of the city center of Athens. Thanks to the excellent location of Piraeus, this port city is an ideal starting point for beginning a sailing trip to the Greek Aegean Sea, the Ionian Sea or even further to into the east. The Marina Piraeus has around 670 berths and is a perfect starting point or stopover for your yacht charter holiday from Athens and boating holidays in Greece. From Piraeus, you can easily reach any number of islands. However, if you have the time, we recommend visiting and exploring the city of Piraeus itself. You will discover a vibrant port city with a rich and authentic Greek culture and next rent a boat in Piraeus. 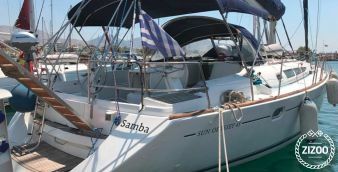 Ready to begin planning your boat holiday in Greece? You can easily contact one of our professional holiday planners and book a yacht charter in Athens today!